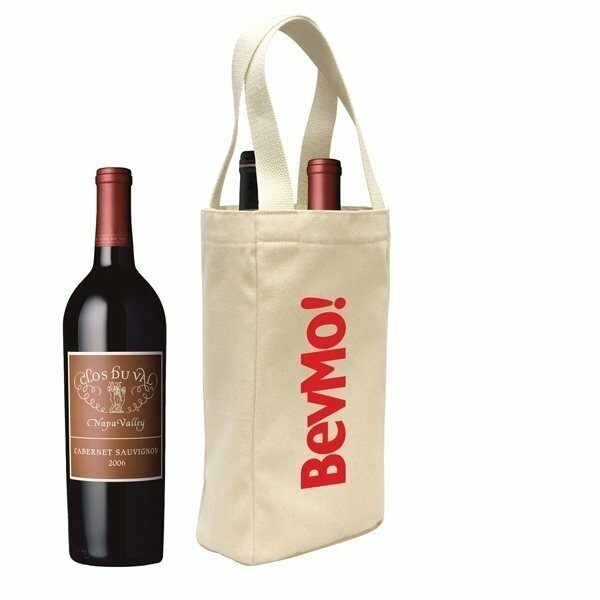 10 oz cotton canvas wine tote holds 2 bottles. 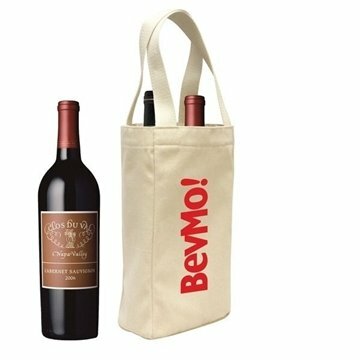 Padded center divider protects & separates bottles. I was impressed with the quality, the packing and delivery as it arrived completely intact. It looked exactly or even better than I had imagined. Rose was able to find it for me and it turned out to be a better deal on your site. Convenient , affordable, customizable and user friendly! What more can you ask for? Great! Everybody loves them!